'Guardians of the Galaxy' scriptwriter James Gunn has revealed he has finished a first draft of the script for the next film. The writer and director has put pen to paper on the highly anticipated third movie in the trilogy - which is part of the huge Marvel Cinematic Universe - and confirmed it in a teasing social media post to fans. Simply sharing the front page of a script - which simply reads 'GUARDIANS OF THE GALAXY, VOL. 3 by James Gunn' - he captioned it: "Screenplay. 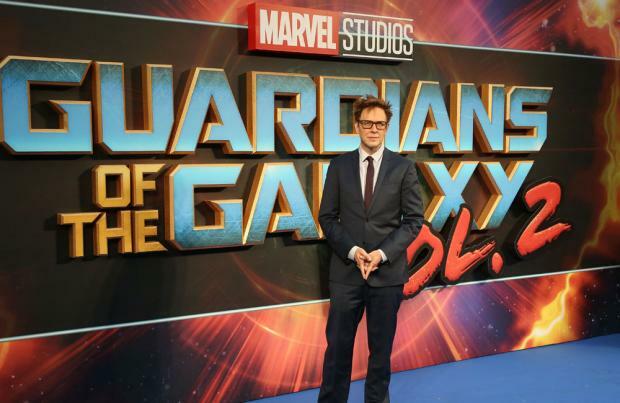 #gotg #marvel #screenwriting #guardiansofthegalaxy #gotgvol3"
While Gunn kept things relatively cryptic, Marvel Studios president Kevin Feige has revealed a bit more to get comic book fans excitement for the next installment. Speaking to Collider, he said: "James has delivered a draft and we begin official pre-production on that very, very soon. It'll be shooting early next year. "'Captain Marvel' finishes in about two weeks, ['Spider-Man: Far From Home'] starts in about two weeks, and then 'Guardians 3' will start early next year." Meanwhile, fans of both Marvel and 'Star Wars' will be hoping there will be room for the latter franchise's hero Mark Hamill from getting the dream cameo he's set on. The legendary actor - who is best known for starring as Jedi Master Luke Skywalker in the hit sci-fi saga - previously took to the micro-blogging site to offer his services to Gunn. Months later, it became a reality as Hamill suggested that the topic of the MCU may have come up in conversation, as he revealed the pair spoke about "EVERYTHING". In his coy caption alongside a beaming photo, he wrote "Such a great day meeting my neighbor @JamesGunn! We have so much in common & talked about EVERYTHING: the weather, gardening tips, favorite recipes, growing up Catholic, our mutual love of dogs, bleu cheese, risqué limericks & the weather again. #FunWithGunn."